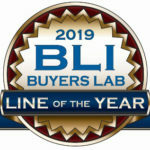 This January Sharp Inc, claimed the prestigious 2019 Copier MFP Line of the Year Award from Keypoint Intelligence – Buyers Lab. Stone’s Office Equipment has been advocate of Sharp products for many years due to their quality, reliability, and efficiency. We’ve been very proud and humbled to be the recipients of Sharp’s Hyakuman Kai Award on multiple occasions. View some of the Sharp products we have on offer. 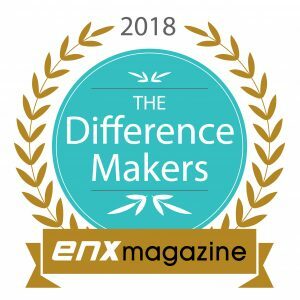 Stone’s Office Equipment has been named a 2018 Difference Maker by ENX Magazine. Rooted in customer service, the Stone’s company culture is what sets us apart from others in our industry. Our team is given the autonomy to make decisions in the best interest of the client, which provides valuable freedom, flexibility, and a sense of pride in the work. This, in turn, creates an exceptional experience for customers. Customers also value our family values and community contributions. Our company is an active participant in the community, and we routinely donate time, money, and in-kind for a variety of service organizations. Read more about our community involvement here. For more information about The Difference Makers, check out the full article at enxmag.com. Stone’s Office Equipment has recently been nominated for two awards that verify our commitment to excellence in everything we do. First up is Lawyers Weekly, which, according to their reader rankings, has nominated Stone’s as a leader in Document Management Solutions. We’re honored and thankful for the votes which generated this nomination. We have been focused on helping law firms grow, modernize, and maintain healthy document management practices for many years now. We look forward to the continued evolution of document management needs for law firms. 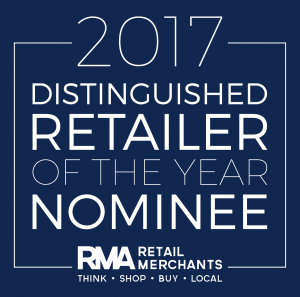 The second nomination Stone’s has received recently is from the Richmond Retail Merchant’s Association. The Distinguished Retailer of the Year award is a prominent award given only to the best of the best. We’re truly honored for the nomination which places Stone’s Office Equipment up with many other best-in-class local businesses.